The Sydney NYE experience is heralded as one of the best New Year’s Eve celebrations in the world. Sydney’s NYE party is held on and around the iconic Sydney Harbour. The Sydney Harbour Bridge (or coat hanger) is a key centre attraction for the Sydney fireworks display. Sydney puts on two New Year fireworks displays plus the Parade of Lights. What is there to do in Sydney for New Years Eve? For the public there are free events and there are also ticketed and packaged events. Some celebration events are on the boats on the water while others are around the Harbour in Sydney venues and restaurants. Where ever you are in Sydney it’s sure to be fun! There are so many things to do for New Years Eve in Sydney to see in 2020. 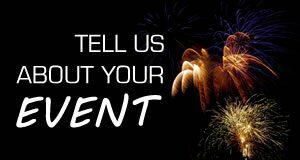 The details of things to do for ideas on NYE fun events in Sydney for 31st December 2019. Many different Cruise options and packages to celebrate New Years Eve Sydney 2019 in style. Tickets cruise options for adults and for families. And also charter cruise options for your own NYE party. Awesome Harbourside restaurant location with spectacular views to the Sydney NYE fireworks and party celebrations. 4 Course NYE Dinner. All inclusive packages with no more to pay. Package price includes all beverages all night - sparkling, beers, wines, spirits, cocktails, soft drinks, juices, teas and coffees. Absolutely no extra costs. Families welcome and kids under 18 are only $200. Great live entertainment to see out 2019. Fireworks Views. Dining Packages. Great Food. Beer Garden. Family Friendly. Treat yourself to some great fare at this Central Sydney location. Always offers some fantastic food. New Years Harbour fireworks views. Restaurant canapes & beverages packages. Family Friendly. Live Music. Accommodation available. Multi Course Degustation menu with Canapes on Arrival. Premium Drinks Package. Fireworks View from Private Balcony. Entertainment. Many NYE Cruise options. See in 2020 on Sydney Harbour with perfect views of the Sydney New Years fireworks. Lots to choose from. Five fantastic Sydney New Year's Eve locations. Great options for everyone. Themed event. Includes superb package of drinks and food stalls. Accommodation also available. Sells out Quickly. A sensational New Years awaits in great location. Featured entertainment by multiple acts. Usually includes some very nice options to see in the new year! Exclusive Views. Iconic Location at Sydney Opera House. NYE packages usually includes Free Flowing Drinks, Exquisite Food and Entertainment. Typically offer a Traditional Greek 3 course NYE menu with premium beverage package and amazing views of the Sydney New Years fireworks. Family Friendly. Guylians delicious new years eve while watching the Sydney NYE fireworks at Circular Quay. Dining with matched wines. Family friendly. Great location. Fireworks Views from Rooftop Balcony. Uninterrupted Views. Offers usually include NYE Dinner or NYE Canape Packages. Great location in Sydney to welcome in the New Year. Typically offer various packages including VIP and booths. LIVE acts. LIVE entertainment. Unlimited Luna Park Rides. Spectacular Sydney NYE Fireworks Views. Headline Entertainment. Eight Bars, Seven Dance floors. VIP rooftop packages available for Sydney NYE. Normally Multi Course NYE Dining including Drinks package. Darling Harbour New Years Fireworks Views. Family Friendly Event. Awesome catamaran to see the sights on New Years Eve in Sydney. NYE Gala performance. NYE Restaurant Packages usually include Pre-Dinner and Midnight Party Upgrade Options. Fantastic Fireworks Views, Close to the Action. DJ fun sets and special views of Sydney Harbour. Family friendly Sydney New Years Eve dinner party overlooking the magnificent Sydney NYE fireworks over the splendid Harbour. Multi course dinner and with beverages and cheaper childrens tickets. Incredible Sydney NYE tasting menu to delight your taste buds into 2020. Awesome location to see the fireworks. Drinks flowing and canapes to begin this special evening. NYE Restaurant Dinner Packages. Fantastic Fireworks Views. Entertainment. All Inclusive New Years Restaurant Dinner and Drinks. Fantastic Fireworks Views. Family Friendly. Awesome energy in this venue for New Years fun. Great food centred around the Oyster Bar. So you can dine gloriously with 3 courses. And then dance the year away. Live Music. Drinks and Canapes Packages. Stunning Sydney NYE Fireworks Views. Full A La Carte Menu. Minimum Spend after 8pm. Typically includes a complimentary glass of sparkling at midnight. Great location at Sydney's Rocks area. All inclusive Sydney NYE Cruise. 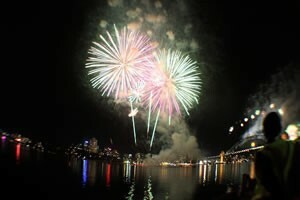 Watch the Sydney New Years fireworks to see in the new year. Multi-Course Dinner. Unlimited Beverages. View of Sydney Fireworks. For all the best event details see New Year’s Eve in Sydney. Many of the Sydney NYE venues and cruises have inclusive packages. The inclusions may be food and drinks and show. But your should read all the material on the various options. Many of these operators they will provide discounts for early bird purchases or first release ticketing. It can be advantageous to be organised and have your planning sorted. It’s important to note that many of the Sydney NYE parties and events do sell out, such is the demand for the Sydney NYE party. Around Sydney City and Sydney Harbour the restaurants, hotels, cruises, cafes and bars light up with superb NYE dining and entertainment options. Some of these NYE events will be a priority for many people and are in demand very early. Bookings can be swift so hurry. The Sydney NYE festivities are held in the Australian Summer and many tourists make plans to attend this major event. There are a high proportion of international visitors as many holiday makers come down under. Sydney is such a fun place and the NYE activities certainly add to that. It’s interesting to note that a lot of tourists come to Sydney just for the NYE celebrations. So who knows who you might meet this NYE.